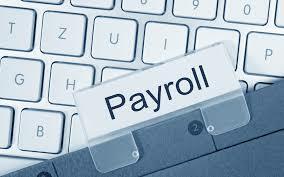 In NelsonHall’s recently published Payroll Services market analysis report, the payroll outsourcing market is forecast to grow from $17.4 bn in 2016 to $21.8 bn by 2020. Growth is across all regions, with the greatest growth coming from multi-country payroll contracts. The multi-country payroll market is growing at three times the rate of the overall market and represents ~15% of total standalone payroll services revenues. Multi-country contracts consisting of more than one country within a region represent 35% of multi-country contract revenues. Demand for a more comprehensive global technology solution. Approximately 75% of vendors included in NelsonHall’s market analysis are currently providing multi-country payroll, and continue to invest in this space. The average number of countries serviced is 14, and the average number of client employees being serviced is 7,000. Contracts signed in 2015/16 for multi-country payroll services included organizations with as few as 100 employees and as many as 50k client employees. Vendors will look to broaden both their in-house and payroll partnership network, to continue to increase in-country payroll service delivery capabilities to support the growing requirement for multi-country and multi-language payroll offerings. For example, in December 2016, SD Worx partnered with Ascender to expand its payroll services geographical reach into Asia Pacific and the Middle East. Prior to this, SD Worx boosted its European footprint by acquiring Ceridian U.K., Ceridian Ireland, CTB A&A, and Fidelis HR in Germany, as well as a strategic partnership with Ceridian in the US and Canada. To find out about NelsonHall’s extensive research plans for HR outsourcing services in 2017, contact Guy Saunders.